The Scrap n' Stamp Shop: THE NEW CATALOG IS LIVE! This is the day I've been waiting for! This catalog is the best ever. I can't wait to start showcasing some of these new products on my blog this month. Be sure to join my blog e-mail list so you don't miss any of my posts. June is a fantastic month to be a hostess. For every qualifying workshop ($350), the hostess will receive an extra $35.00 FREE. That’s a total of $77 in FREE products. This offer expires June 30, so contact me and book your workshop today! The workshop can be held in your home or in mine – I can easily accommodate up to 12 people. 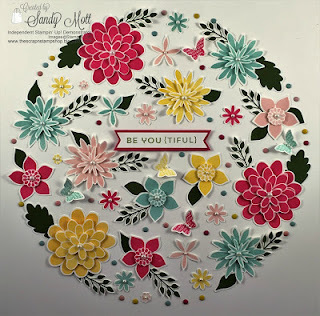 If you've been thinking about joining Stampin' Up! 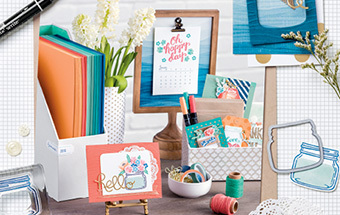 (whether as a hobbyist or to start a business), new Demonstrators get $125 in product and 2 FREE stamp sets (up to $40 value each) for just $99. Book a qualifying workshop in June and get your starter kit for $22. Can’t beat that! And, you’ll get more free benefits by being a member of my team. Ask me all about it! June 1 starts my Customer Rewards Program. Each month I create cards to be used for my Stamp Camps (Monthly Card Class), or my monthly Stamp Club. Many of you are just too far away or your schedule doesn't allow you to attend. I have a special Customer Rewards Program (free tutorials and/or handmade cards) for my online customers who shop at my online store. Click on the "Customer Rewards" tab above to read all about it. The host code for the month of June is: 2CZVTKEB. If you are not sure how to place an online order, use the host code, or ensure you are shopping with me, please click on the above tab "How to Order". It will make your ordering experience so much easier. Please call or e-mail me to reserve your seat! Stamp Club - Thursday, June 16, 6:00 p.m.